> What is Mr Sprite ? Mr Sprite is a command-line tool for Windows to manage Sprites and to simplify the integration of Sprites into Apple IIgs games. - And, finally, you have to write the most efficient code to display the sprite on the Apple IIgs graphic page ! Of course, if you want to add new Sprites or modify an existing one, you may have to re-do everything :-( From a programmer's perspective, the only thing we would like to do is to call a function named DrawSprite(sprite_id, screen_address) with only 2 parameters : the sprite identification number and the address of the screen where to display it. MrSprite is here to simplify programmers' life by providing a full set of features including automatic Sprite detection / Sprite alignment / Reverse & Flip effects / Sprite compiler / Direct 65c816 code object output... and more ! Most of the time, you start your project with a Sprite sheet downloaded from a Web site. Sprites are together in one picture. Make sure the picture uses GIF format. - A new Sprite sheet with a frame around each sprite. The sprite width is a multiple of 4 pixels. Sometime, the sprite sheet does not provide all the required sprites. You have to extend it depending of your needs. For a fighting game, the character has to go Left and Right. Using the UNIQUE command removes duplicated pictures and the RENAME command gives a new name to all remaining ones (ordered from 0 to N). With a single entry point (DrawBarb), the source code has to be included in your project. The DrawBarb function is called with only two parameters : A = Sprite identification number (see WallPaper for sprite identification) and Y = Target Screen address). It will find the right Bank and will display the Sprite in the $01/2000 Graphic Page (shadowing On). As a programmer, the only thing to do is to allocate the number of required memory banks (= number of object code files), load the object files in the memory banks and populate the BarBankXX JSL $AA0000 address with right ones. MrSprite.exe v 1.0, (c) Brutal Deluxe 2012-2013. MrSprite.exe EXTRACT <sprite_file(s)_path> <background_color_RRGGBB> <frame_color_RRGGBB>. MrSprite.exe WALLPAPER <sprite_file(s)_path> <background_color_RRGGBB> <frame_color_RRGGBB>. - Some Commands accept an optional -V as first parameter. This enable the VERBOSE mode for this command (more information are displayed on the screen during command execution and extra files may be generated). - If the Windows File or folder paths contains Space characters, quote the path to avoid conflicts (MrSprite.exe UNIQUE "c:\Users and Settings\Project\Barbarian_spr_*.gif"). - All commands accept a set of files. Use wildcard character (*) to specify more than one file (MrSprite.exe UNIQUE c:\Project\Barbarian_spr_*.gif). - You can re-direct the standard output of a Command into a Text file using the > character (MrSprite.exe CODE c:\Project\Barbarian_spr*.gif [...] > c:\Project\SpriteStatistics.txt). - The source code generated by the Software uses Merlin 16+ syntax. You can probably adapt it very easily to any other Apple IIgs Assembler. - The only graphic file format recognized is GIF. It is a 256 colors format, with good compression and no quality loss. Perfect for Sprites handling. This command process one or several pictures to search for Sprites located inside. 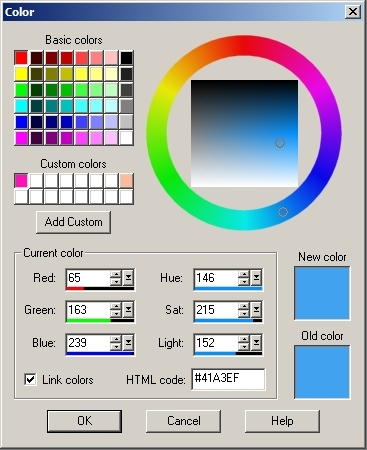 The background color, provided on the command line as a hexadecimal RedGreenBlue code, is used to define the visible part of the sprite, in opposite to the background part. The frame color is used to draw a box around the sprite to define its borders. Of course, the background and the frame color must not be used in the Sprite. This commend may be used on Sprite sheet pictures (one picture with a lot of Sprites inside) or on pictures containing only one sprite (this may be the output of WindowCapture tool when you are recording an animation). An unexpected result occured : The shadows under the two lower left characters are considered as individual sprites and are not linked to their related bodies. How can you help Mr Sprite to group several parts of the same Sprite together ? This command is used to flip the source images from Left to Right. A new picture is created (the letter m is added at the end of the name) and the sprite is aligned to the left border. This command is used to flip the source images from Top to Bottom. A new picture is created (the letter f is added at the end of the name). This command is used to create a Odd Column aligned sprite. Because the source image width is a multiple of 4 pixels, shifting the Sprite (Left to Right) for 1 position may increase by 4 pixels the width of the new picture. The letter o is added at the end of the name. Check all the pictures files and remove all duplicated ones. The clean-up Task is useful because some commands (MIRROR, FLIP, ODD) may generate pictures having exactly the same visual than existing ones. This command helps to re-index all the remaining files from 0 to N. It is also time to remove from name all references due to picture manipulations (spr fro Sprite, o for ODD, f for FLIP, m for MIRROR...). You end up with a list of files containing only a prefix (new_name parameter) and a number as a suffix (Barbarian_000.gif, Barbarian_001.gif, Barbarian_002.gif...). The suffix will be used as Sprite identification number. This command creates a large picture will all your sprites together. Each row receives 10 or 20 sprites, depending of their width. Each sprite is identified by its number. The wallpaper picture is a good quick reference material for sprite usage (help to find the right id for a sprite). This command converts a graphic picture into a 65c816 source code file, ready to be used in your Merlin 16+ project. The sprite is compiled and converted as a list of assembly langage instructions. If you run this code, the sprite will be displayed on the screen (Bank $01 only). The result source code file has the same name than the source picture, but the .gif extension is replaced by a .txt. As usually, you have to provide the background color code. But this time, you also have to provide ALL the colors used in the sprite, in the order compatible with the color palette you want to use on the IIgs side. An Apple IIgs sprite can't use more than 16 colors. Depending on the number of colors your sprites have, you have to provide them as command parameters. On our example, the sprites are using 3 distints colors : Black (RGB=040204), Gray (RGB=646664) and light Pink (RGB=FCBA9C). This 3 colors will have index 0, 1 and 2 in the Apple IIgs screen palette. This source code file contains information such as Sprite ID , Sprite Width / height, Object Code size, Number of cycles used to display the Sprite. This code must be called using a JSL instruction in Full 16 bits mode (REP #$30). The Y register must contain the target screen address ($2000 / $9D00). No border colision is performed, so be careful to define a valid screen address. The anchor of the sprite is the upper left corner of the sprite. Everything has be done to optimize the display of the Sprite in terms of speed. If you have a lot of Sprites in your project, you may not be satisfied by receiving the output of Mr Sprite as individual Source code. Because including the Sprite source inside your existing Project may increase the size of your core Program and perhaps you don't need all the sprites to be in memory together at the same time. For a fighting game (Street Fighter style), each opponent sprites should be loaded when needed. You main character is not going to fight all oponents together but one after the other. In order to simplify Sprite code handling, we have designed the BANK command. It will assemble all the Sprite source code file into 64 KB files, ready to be loaded in one memory Bank. Depending on how many Sprites you have, you may need 1, 2 or more 64 KB banks to store all of them. If you want all your sprites together in memory, you will have one set of Bank files (Bank00.bin, Bank01.bin...). If you have several groups of sprites (one for Ryu, one for ChunLi, one for Zangief...), you will have several sets of Bank files (Ruy00.bin, Ryu01.bin..., ChunLi00.bin, ChunLi01.bin, ...). You will load your bank set when needed. With Mr Sprite, instead of loading the graphic files containing the sprite, you have just to load the Bank files containing the 65c816 object code to display them. The memory space required to store the Sprite as a graphic image (Sprite + Mask) is about the same than the space required to store the code displaying the sprite. It could be a little bit larger or smaller, depending on the sprite. Because Bank files must be transfered into a Prodos file system to be used, the bank file names have to compatible with Prodos name standard (15 characters long, only A-Z, 0-9, . allowed). This is why the bank_object_name (3rd parameter) has to be short (we will add 2 characters digit for number and a .bin extension). You can use Cadius tool to perform the transfer between the PC file system and the Prodos image file (Cadius.exe ADDFILE c:\AppleIIgs\HardDrive.2mg /D3/ c:\Project\Barb*.bin). It will dispatch your call to the right bank. The name of the entry point and all tables use as prefix or suffix the <bank_object_name> parameter. so if your are using several groups of bank files, you will receive several entry point source code files to include. - Update the PREFIXBankXX address in the entry point code with the memory bank (replace the $AA0000 with real bank address). - The sprites can't be displayed outside of the screen boundaries or even cross the borders. - The sprites can only by displayed in the $01 memory bank (shadowing must be active to see the sprite on the screen). - The source Code used to erase the Sprite from the screen is not included. This problem will be analyzed / handled in a next coming tool. What kind of algorithm do you use ? Direct Page ? Stack ? Both ? Mr Sprite's algorithm and all technical information are discussed in a dedicated article. Click here to read it. Where Mr Sprite name comes from ? A very good friend of us, Philippe Leclercq (better known as Teaser from Once Product) did several excellent Apple IIgs software and demos in the 90's (Shiny Bubbles, Plotting, Boink Demo, RGB Demo, Stadium Demo...). One of them was Mr Sprite, a sprite compiler for the Apple IIgs. Like all its other software, Philippe did it in a very polish way. All GS/OS compatible, with intuitive interface (Menu, Windows, Online help), the software was not only very easy to use but it lets you choose & test several algorithms and show you immediately the % of CPU used to animate the sprite you have choosen (using Border color change effects). Even if the technology we are currently using in our Mr Sprite has nothing to do to what Philippe chose at the time, we kept the same name because we follow the same goal (dream ?) : animate large sprites on the Apple IIgs as fast as we can. Let's see this Mr Sprite as the next generation !